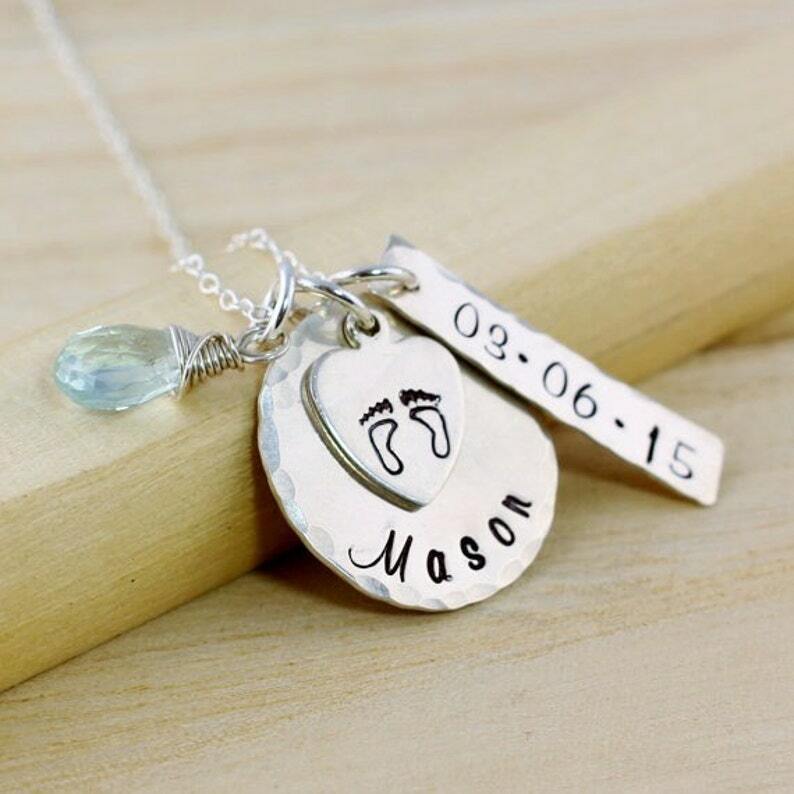 Perfect for a new mom as a push present or just because, this elegant handcrafted personalized mothers necklace will make a beautiful gift! 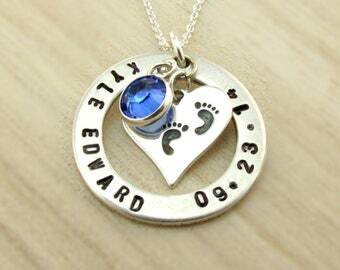 Two sterling silver charms are stamped and layered, one a round disc and the other a heart charm stamped with baby feet. Also included is a hand stamped date bar and choose a stone from the 5th picture for this adorable charm cluster.